Both the organizers of San Diego Comic-Con and of Salt Lake Comic Con filed post-trial motions in federal court in California this week, with the biggest takeaway the fact that San Diego Comic Convention, the non-profit organization that runs Comic-Con International (San Diego Comic-Con), has spent $4,587,771 on legal fees and expenses to date. The number appeared in a motion by San Diego in which it asked the court to rule that the case was “exceptional,” which would allow San Diego to claim legal fees, requiring Dan Farr Productions, the organizer of Salt Lake Comic Con, to pay them. A judgment that Dan Farr Productions is liable for legal fees would give San Diego a more financially meaningful verdict; the damages awarded in the original verdict were only $20,000 (see “San Diego Wins Lawsuit Over ‘Comic-Con’”), or less than 5% of what it cost to achieve the verdict. The motion is tough, arguing among other things that SLCC used “a duplicitous litigation strategy built on harassment, excessive and repetitive motion practice, distortions of the facts and law, and gamesmanship;” and that SLCC engaged in “egregious misconduct” at trial. Post-trial motions are going to take a while; a hearing on the motions was scheduled for May 3. 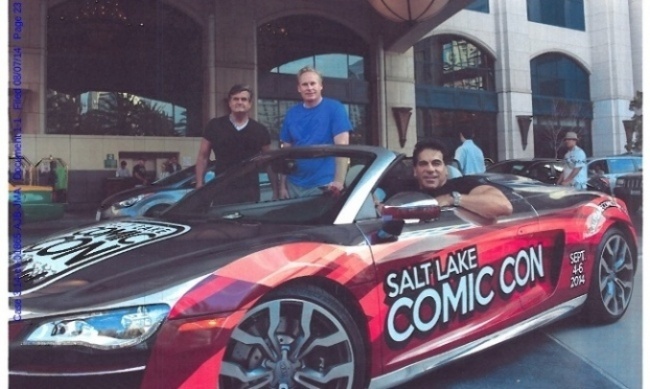 Dan Farr Productions has already vowed to appeal the verdict (see “Salt Lake Comic Con Organizers Will Appeal”).